It seems like it was only yesterday that Americans were carving pumpkins or gathering around the dinner table to celebrate Thanksgiving. Now that the winter holiday season is in full swing, people are planning their vacations, scheduling dinner parties, and checking off their holiday shopping lists. If you run a small business, you and your employees will be busy doing these things, too. That said, you should consider setting aside time to purchase gifts for your employees, clients, and business associates. It’s a thoughtful gesture that will go a long way. Determining which gifts to give can be difficult because they might cost too much, or not align with the recipient’s interests. To guide you in the right direction, Balboa Capital came up with a helpful small business gift giving guide. Regardless of how well your business performed this year, you should exercise caution when spending money on holiday gifts. A big, extravagant gift can send the wrong message, whereas as a cheap, generic gift will be forgotten by the next day, or perhaps end up in the trash can. When planning your budget, write down a list of the individuals and/or companies you want to give gifts to, along with some gift ideas. Then, assign a specific dollar amount to each gift and multiply it by the number of gifts you need. This will help you determine if you are within your budget. You will also need to include the costs to ship and/or mail the gifts that you won’t deliver in person. Food baskets, flowers, and wine are nice, but a personalized gift shows that you really put some time and effort into your holiday gift choices. Gift cards (Amazon, Visa, etc. 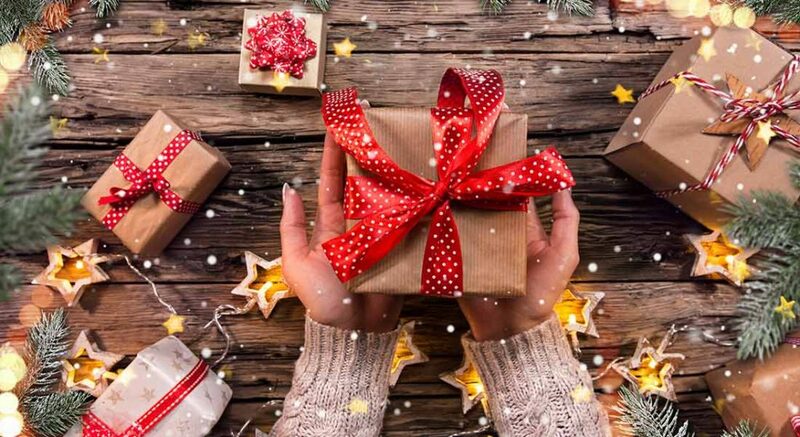 ), mobile phone grips, beverage tumblers, gifts with a “give-back” mission, and corporate branded gifts are the most popular business gifts this year. It is worth noting that your employees might be perfectly happy with a small cash bonus or a paid day off instead of a physical gift. Lastly, avoid the pre-printed note card with a generic “thank you for choosing our company” message. Instead, write it yourself, and include something that will resonate with the recipient. When giving gifts to your employees or business, clients, and business connections, you need to follow proper etiquette. Inappropriate gifts or cards with offensive messages can get you into hot water, perhaps even legal trouble. So, use common sense when selecting gifts and stay away from anything that is even remotely inappropriate. Also, don’t just assume that everyone on your shopping list celebrates the holidays. Giving a gift to someone who has a different religion or belief might make them feel very uncomfortable. Don’t leave out any of your employees. If you are going to give holiday gifts to your employees, make sure you include every one of them. If you only reward certain team members, the others will surely find out and start talking about it. This can result in a negative morale at your company, which is not something you want during the fun and festive holiday season. So, make sure you have a complete list of employees, and check it carefully so you don’t make the mistake of overlooking someone.